Ask most people for the biggest story of Erin Mallory’s year, and you’ll get the same response: Mid-Atlantic Regional Championship finals, five seconds left in overtime, tie game. Bryan Barrows has the ball in a full sprint and uncorks a perfect pass to Mallory, who catches it cleanly. Three seconds left on the clock. Mallory is accosted by University of North Carolina keeper Andrew McGregor but manages to use a left-handed stiff arm to just barely keep her right arm free. One second left on the clock. Mallory releases, and for just a fraction of a second, it looks like the shot might go low. Instead, it dribbles through the hoop as time expires, winning University of Maryland its second consecutive Mid-Atlantic title. 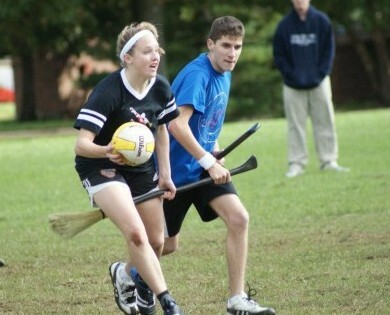 That moment alone, perhaps the most memorable quaffle play in quidditch history to date, may have been enough to give our selection of Mallory for Sportswoman of the Year some credence. But, for me, it wasn’t even the most telling Mallory story of the past 12 months. Let me set the scene. It is past midnight on the night before Turtle Cup in September. 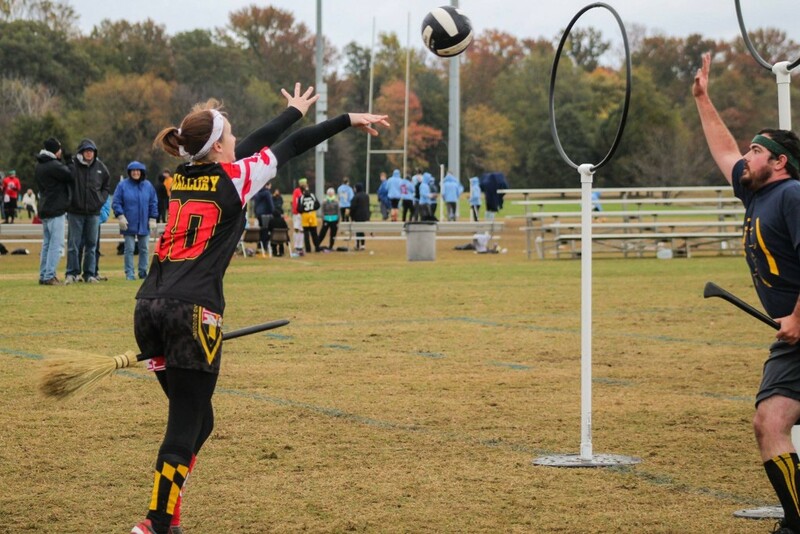 Mallory is serving as tournament director of the 16-team, three-field competition, but will also be playing for a Maryland side opening its season, looking to avenge a poor Turtle Cup performance the season prior—the team bowed out to Emerson College in the semifinals. Just about anyone in her shoes would have been taking advantage of those valuable hours of sleep, but not Mallory. Instead, she offered her bed to a couple of the volunteers that traveled to help and chose to work through the night, tying up loose ends and sewing together extra pairs of snitch shorts to guarantee there would be no issues the next morning. 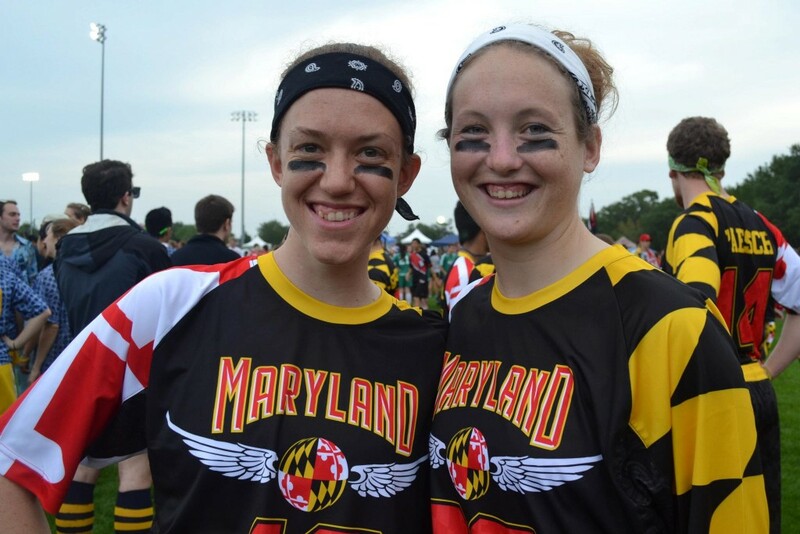 The following day, a near-sleepless Mallory ran a near-flawless tournament, sustained and played through two minor injuries and helped the Terrapins win their first tournament on College Park soil in a year and a half. Put these two stories together, along with the many other things Mallory brings to the sport, and you get an almost unassailable candidacy. 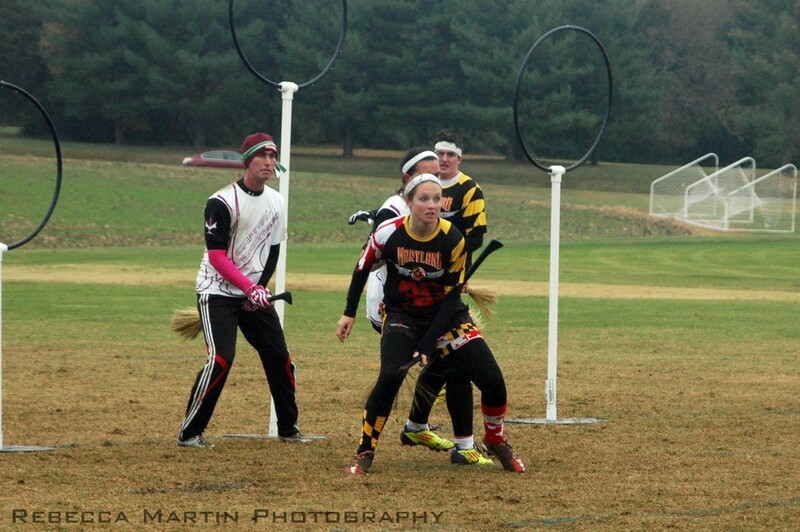 Mallory joined Maryland Quidditch all the way back in the 2011-12 season, a time when the Middlebury College dynasty still reigned. With a background in soccer and basketball, the freshman instantly impressed the team’s leadership and started every game for the Terrapins at a tournament just two weeks later. Her star had risen further by the end of the season, and she was asked by Steve DiCarlo, then the captain at Hofstra University, to play for a Mid-Atlantic all-star team at the Champions Series. In the days before fantasy tournaments and Global Games, it was quite an honor for the freshman. Sophomore year brought new challenges, both for Mallory and her team. Despite spending most of the year as a top-five team nationally, they lost the inaugural Mid-Atlantic Regional Championship to Villanova University and bowed out of World Cup VI in the Round of 16, losing on a snitch grab to Bowling Green State University. They also faced the imminent departure of much of the team’s leadership, both on and off the pitch. Perhaps most notably, was Woolsey, who would go on to serve as the USQ Events Director and World Cup VII Tournament Director and was noted as the woman behind Maryland’s nationally-renowned tournaments. Mallory once again rose to the challenge, taking on both the title of president and the many challenges associated with it. Just two months into her presidency, she ran the school’s annual Turtle Cup, making the difficult decision not to play in order to make the tournament run as smoothly as possible. Which brings us to 2014. Maryland entered the year on a high, having won their first Mid-Atlantic Regional title, but adversity once again reared its ugly head. Mallory struggled to secure field space for the school’s annual spring tournament, the Shell-Shocking Spectacular, and eventually had to call it off. An injury to Greenhouse, then the captain of the Terrapins, looked to dampen the team’s World Cup aspirations. Then, a pool-play loss to Harvard University left things looking even bleaker. But the Terrapins rallied, once again making a run to the Sweet 16 and playing even with the eventual champions, the University of Texas, before losing on a snitch grab. After the World Cup, Mallory ran the first fantasy tournament of the summer, Natty Boh Brawl at University of Maryland, drawing players from all six US regions. Over the summer, Mallory was named a Team USA alternate for Global Games, a difficult pill to swallow for a true competitor with such an impressive track record who was in her last cycle of eligibility while still with Maryland. “She was very excited about being an alternate, but she thought that she was just as good or better than the girls on the team, and she used it as a motivator,” said Greenhouse, who was selected to play for the team in Vancouver. And motivate her it did. In her room, Mallory has a calendar hanging over her desk. 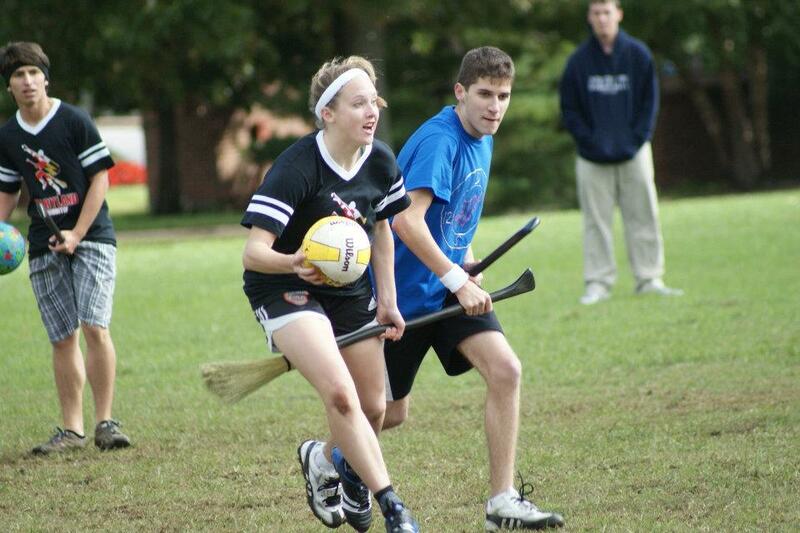 Looking at it this fall, it’s hard to find a date without something quidditch related. 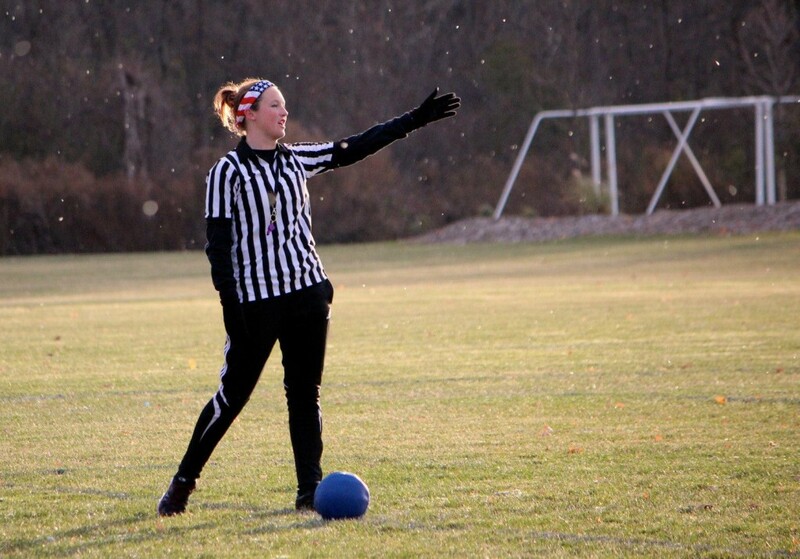 On top of playing in three tournaments and running one, she also traveled to two Northeast tournaments to offer desperately-needed refereeing assistance and played in a fantasy tournament earlier this month in Boston. But, by far the most impressive feat was Turtle Cup. 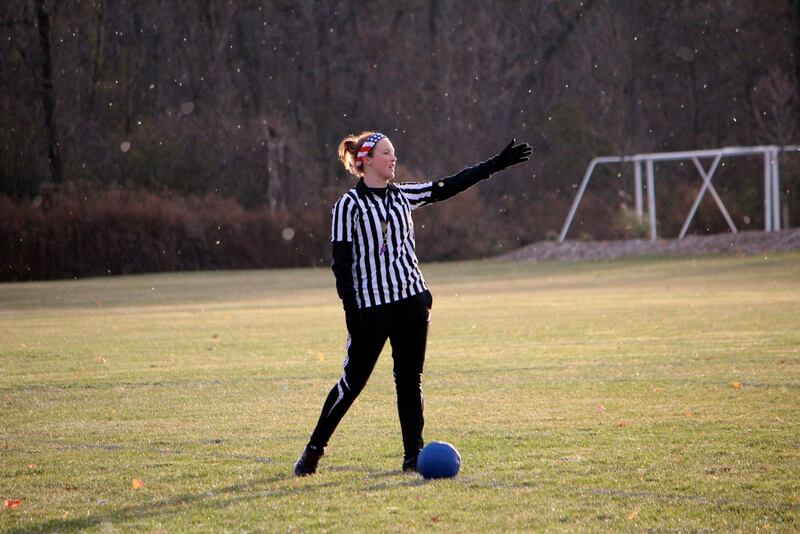 After watching her team come up short at the tournament a year earlier, she made the difficult decision to both direct the tournament and play in it. On top of all of this, she has also deftly handled a team in Maryland that has developed a troubled reputation this semester. Even when she was at the heart of a conflict between Maryland and Capitol Madness—a tussle at their Regional over some words said to her that came up just short of a fight—she managed to rise above it, and she has consistently derided any showings of poor sportsmanship from her team, as well as from other teams. What Mallory displays is so much more than just simple sportsmanship. It is incredibly rare to ever see a showing of negative emotion from her. Entering 2015, things look bright for Mallory and Maryland. The team is ranked eighth nationally, coming off of a second straight Mid-Atlantic title, and has lost just one game this season to Tufts University at Oktoberfest. Mallory is already hard at work planning a major spring tournament and looking to make the most of her final semester with her team. And there’s little doubt that she will. A woman who thrives in every situation—from pressure-packed moments to sleepless nights—Mallory will likely make just as much of 2015 as she has this one.